US Waste Exporting Explained - Where does your recyling end up? In a perfect world, every time we put a takeout container or a coffee cup in the recycling bin, these single-use plastics will be neatly sorted, recycled, and made into useful new plastics. Unfortunately, for a significant majority of the United States’ plastic waste, that is not the reality. So if our plastic waste is not being processed in local recycling facilities, where is it ending up? That’s where waste exporting comes in. 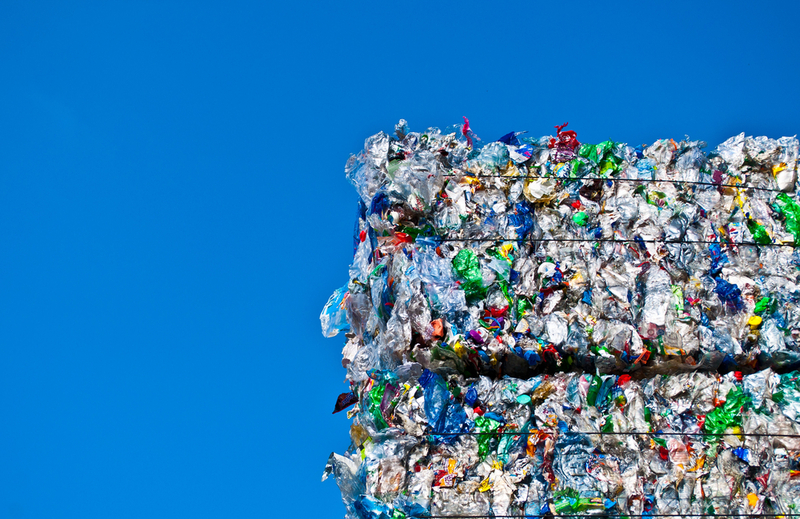 According to the Plastic Pollution Coalition, the US exported 1.07 million tons of plastic waste in 2018, about one third of its recycling. Data taken from the US Census Bureau shows that 78% of those exports were sent to countries with poor waste management. These countries, such as China, India, Malaysia and Indonesia lack the infrastructure and regulation to effectively and sustainably sort, process, and recycle plastic waste into new materials. So why does the US continue to overwhelm these countries with millions of tons of plastic waste every year? In an article published for The Guardian, John Hocevar, Oceans campaign director for Greenpeace USA, blamed recycling companies looking to dodge responsibility for plastic waste management by shipping the majority to developing companies with looser standards and regulations. However, this strategy of displacing our own waste problems on other countries is not a sustainable one. Countries in Asia which receive disproportionate amounts of the world’s plastic waste are beginning to implement policies limiting or completely banning plastic waste imports as they too can no longer handle the millions of tons of plastic being shipped from around the world. Most recently, China implemented tighter regulations on the import of foreign plastic, resulting in a 92% drop in US plastic waste exports to China. According to Public Radio International, under the new policy China will ban 24 types of solid waste and set stricter standards for contamination levels. Because of this policy, the US is instead directing their plastic waste exports to countries like Vietnam, Malaysia, and Thailand. However, these countries have also become overwhelmed by the obscene amounts of plastic flooding in from all corners of the developed world, from Canada, to Japan, to Germany. In a report published by the government of the state of California, India, one of the major importers of plastic waste, also plans to implement a policy to ban scrap plastic imports similar to China. A full country ban will go into effect on August 31, 2019. NPR reported that as these countries being to limit or ban plastic waste imports, US recycling facilities lack the infrastructure and capacity to support the massive amounts of plastic waste US consumers generate. The United States is facing a dilemma: how can we responsibility for our own waste as more and more countries stop importing waste? Discouraging the use of single-use plastics is one solution to the problem. Already in cities across the country a tax or ban on single-use plastic bags has been implemented. According to the National Conference of State Legislatures, California became the first state to implement a ban on single-use plastic bags in 2014 as well as a 10-cent tax on recycled paper bags, reusable plastic bags, and compostable bags. Corporations in the private sector are also making a concerted effort to reduce or eliminate their plastic production in the near future. CNBC reports that Starbucks pledged to eliminate plastic straws from stores by 2020, and water-bottle company Evian committed to using 100% recycled material for their bottles by 2025. As it stands, our plastic consumption far outpaces our ability to dispose of it. Plastic pollution is one of the biggest environmental crises facing our planet, and specifically the concentration of microplastics in our oceans threatens biodiversity and the health of both marine life and humans. Until a more sustainable and comparable discovery is made for a material substitute for plastic, governments, corporations, and individuals must get creative in finding solutions to reduce and repurpose our plastic waste. You can support countries who are struggling to manage waste exported by countries in the Global North by offsetting your plastic footprint and going #PlasticNeutral today.